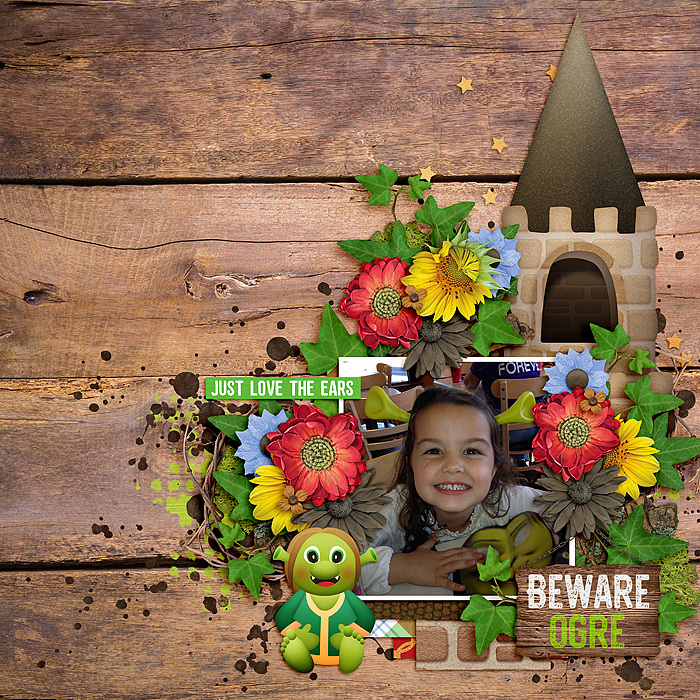 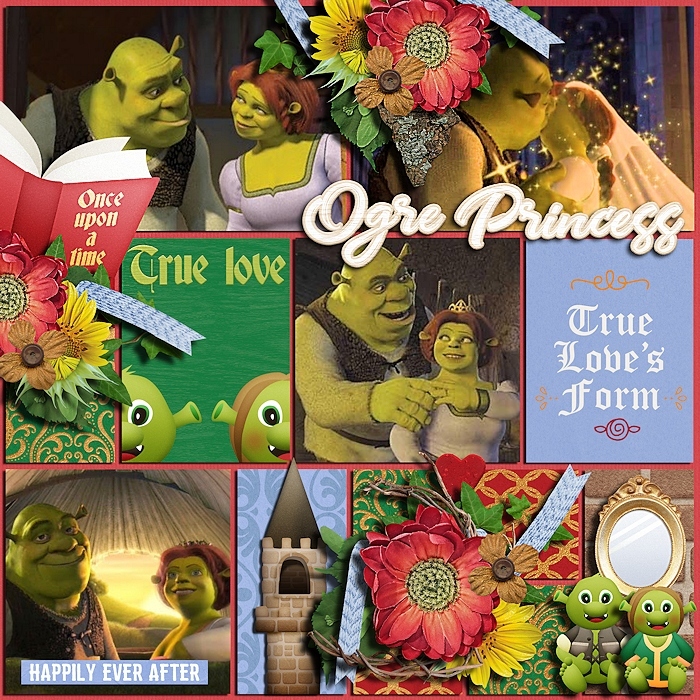 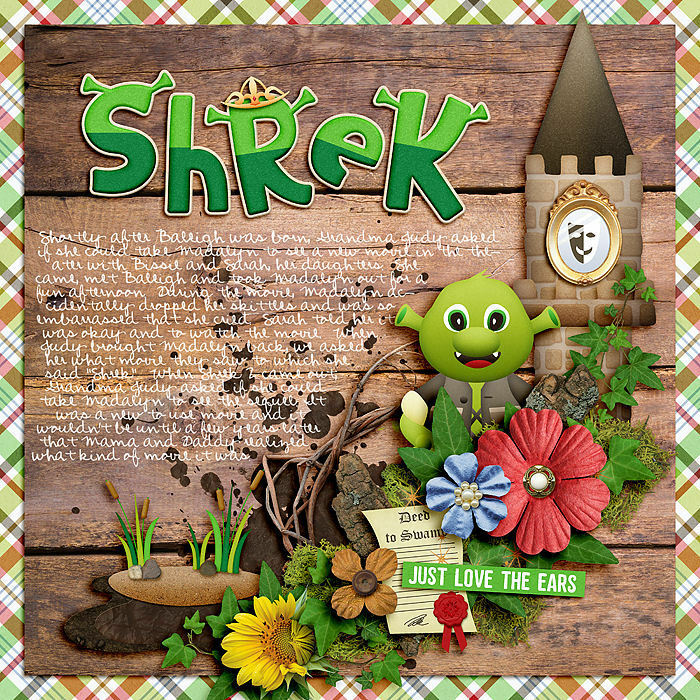 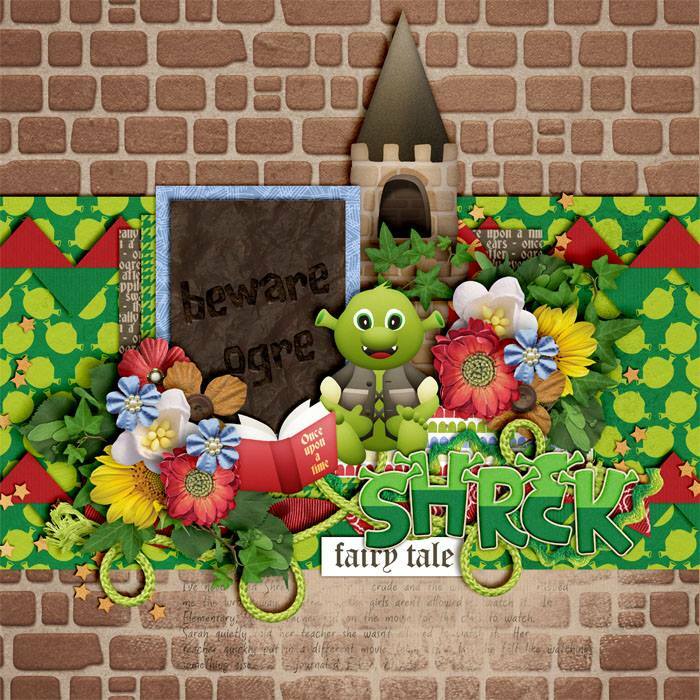 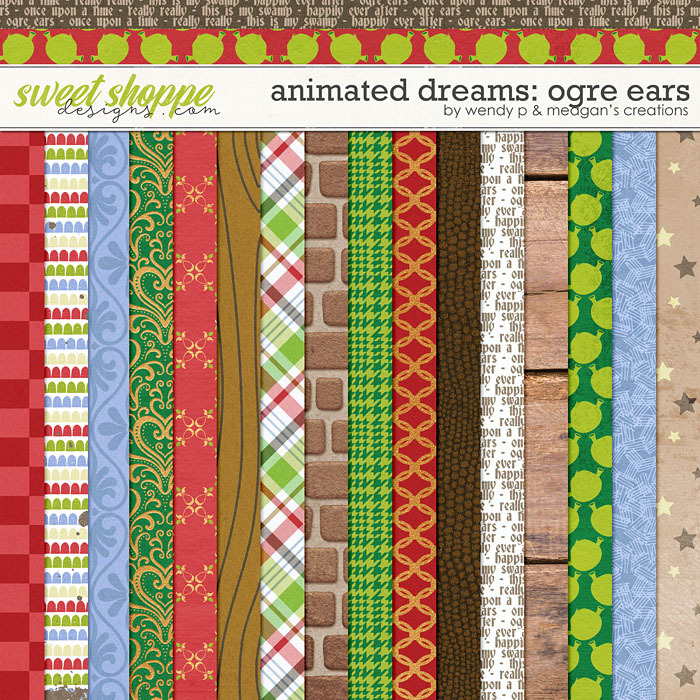 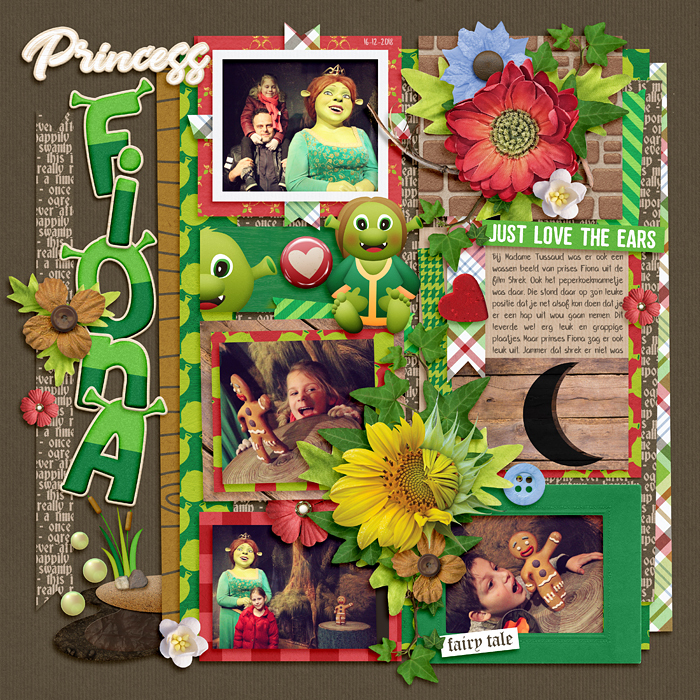 A digital scrapbooking collection by WendyP Designs and Meagan’s Creations, Animated Dreams: Ogre Ears, is the first installment in an exciting new series. 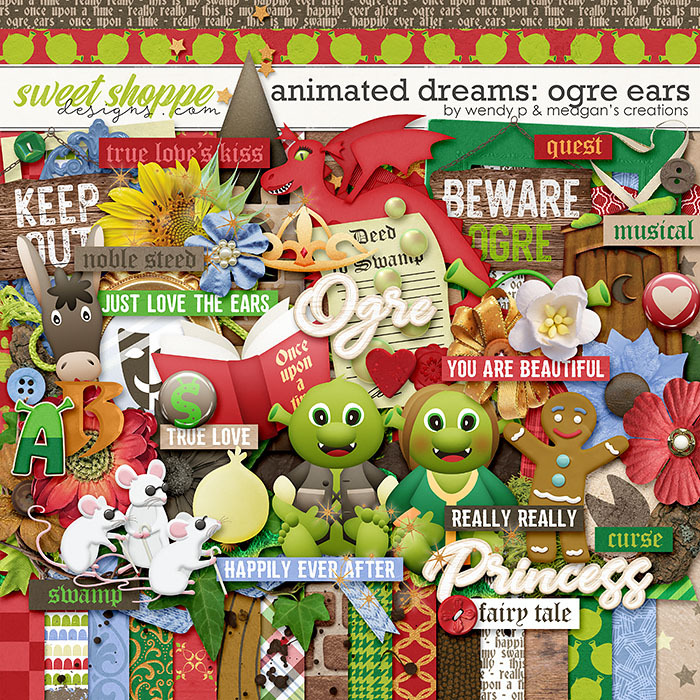 Inspired by everyone’s favorite ogre, created countless layouts of movie and theme park fun. 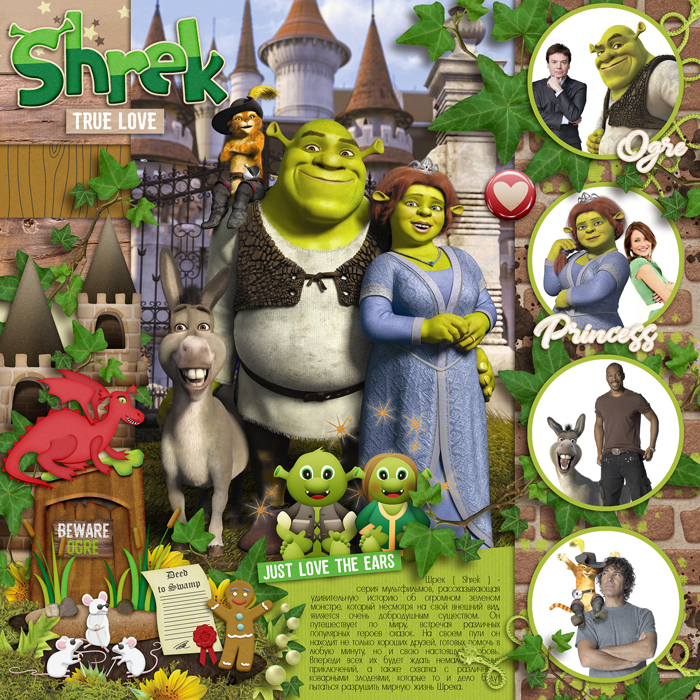 So grab your noble steed sidekick and get scrapping! 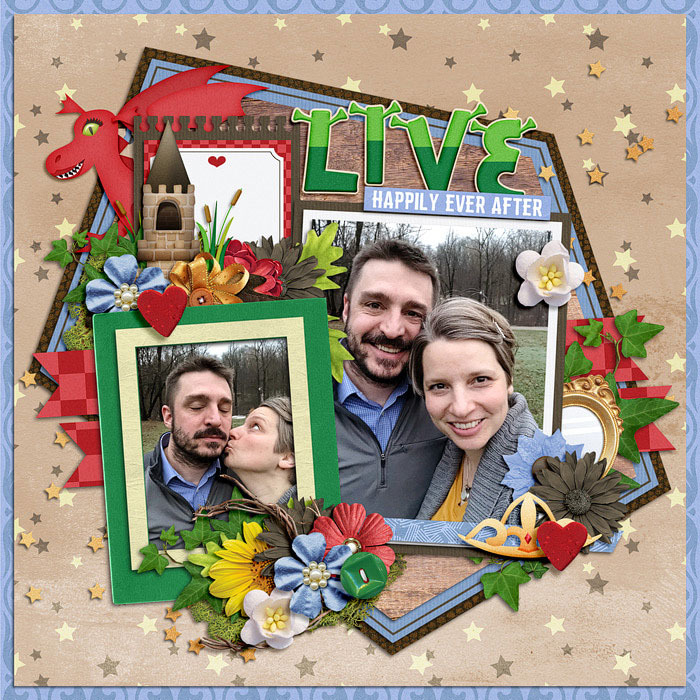 This kit includes 30 papers (18 patterns and 12 solids) 74 Elements (2 barks, 1 book, 1 bow, 1 branch, 1 bubbles, 4 buttons, 1 crown, 1 deed, 1 donkey, 1 dragon, 1 ears, 2 flair, 9 flowers, 3 frames, 1 gingerbread man, 1 heart, 1 ivy, 2 leaves, 1 moss, 3 mice, 2 mirrors, 1 mud, 2 ogres, 1 onion, 1 outhouse, 1 paint, 4 ribbons, 1 ricrac, 2 signs, 1 sparkles, 1 splatter, 1 stars, 1 string, 1 tower, 1 washi tape, 1 wood slice, 9 word art, 5 word strips) and 2 full alpha set.